This web page is a work in progress about 40% done as of 4/10/11. Click here to send comments, ask questions, or offer improvements. 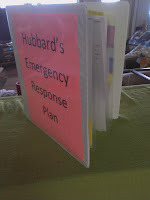 Take a minute to review the worst case scenario for a disaster in our area. Therefore, you might want to help your neighbors get prepared for a disaster or emergency NOW or ASAP. Learn about the Island's MYN (Map Your Neighborhood) then encourage your neighbors to attend/an/or host a MYN meeting. If you can't do that soon, check out the MYN Videos. ask them to Bookmark or Favorite the Marrowstone Island Information and this MI Emergency Preparedness website and review both when it is convenient for them. tell them about this web page. Click "Print page" (at the bottom) and talk to them about it. You may want to show them other web pages in the left sidebar. ask them if they are on the "Island Net". If they are not, tell them to type "www.marrowstone.info" in their browser, then click on "Island Net" in the left sidebar to subscribe to it. Visit your neighbors periodically. Bring the following with you and show it to them. Click "Print page" (at the bottom) and talk to your neighbors about it. Return to How you can help.